Drugstore dupes. They're pretty much a lifesaver for girls who are on a budget. If a hot product comes out from a high end brand, you can pretty much safely bet on the drugstore brands to come out with a fairly comparable product. Why? Because most cosmetic companies fall under the same big parent company (L'Oreal is the parent company to 15 brands including Lancome, Biotherm, Urban Decay, YSL, and Giorgio Armani Beauty). Click through the jump to see 6 drugstore dupes! For only a fraction of the price, NYX's Mega Shine Lip Gloss has a similar color range to NARS's lip glosses. Although the lasting power of NYX's Mega Shine Lip Glosses is probably less than NARS's, for only $5, you can't go wrong. While L'Oreal's entire Infalliable collection is amazing for drugstore products, their Infalliable Eyeshadows are incredible and they perform substantially the same as their luxury product counterparts! They're pigmented, long lasting, and come in great colors. Plus, L'Oreal is the parent company to Giorgio Armani Beauty which means GA's Eyes to Kill probably shares a similar formula to L'Oreal's Infalliable Eyeshadows. It's a great buy at less than $10 compared to $36 for Chanel's Illusion d'Ombre or $33 for Giorgio Armani's Eyes to Kill. Maybelline 24 Hour Color Tattoo are dupes for MAC Paint Pots. Before Maybelline's Color Tattoo's, it was hard to find a good drugstore cream eyeshadow. Despite the 24 hour claim, Maybelline's Color Tattoos do not last that long, but when are you ever going to be wearing any makeup for 24 hours? My favorite shade is Bad to the Bronze. YSL's Touche Eclat is beloved by many makeup enthusiasts, but it's pricey at $41 for just a more opaque liquid highlighter. Thankfully, L'Oreal came out with the Magic Lumi Concealer which essentially does the same thing as YSL's Touche Eclat. Like the Infalliable Eyeshadows, the Magic Lumi most likely has a similar formula to YSL's Touche Ecalt since YSL is under L'Oreal. To my knowledge, Herbal Essences was the first drugstore brand to release a cleansing conditioner (as of right now, I also think Pantene released one as well). It is most certainly inspired by Wen's Sweet Almond Mint cleansing conditioner as the scent of Herbal Essence's is herbal mint. Most places sell HE's Naked Cleansing Conditioner for $7, but if you live near a Harmon's Value or a Bed Bath & Beyond that sells cosmetics/personal beauty products, it's only $4 there!! Certainly a steal and much more wallet friendly than Wen's Sweet Almond Mint which is $33. Rimmel Apocalips (UK name) or Show Off as they were rebranded for the US, is an amazing product with superior color and pigmentation. 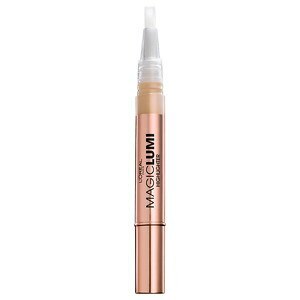 It's probably one of the best drugstore products among this list because the formula is really great. YSL was the first high end brand that released the hybrid lipstick/lip gloss, but Rimmel's Show Off lip lacquer is a serious contender and it's less than $7!